Did you know that nail problems make up about 10% of all dermatological conditions? It’s true, according to the American Academy of Dermatology. > Fingernails grow faster than toenails — especially on your dominant hand. On average, fingernails grow 3.5 mm per month, while toenails grow an average of 1.6 mm per month. > Nail growth rates depend on age, time of year, activity level, and heredity. Women’s nails grow more slowly than men’s, except possibly during pregnancy. Nails grow more rapidly in summer than in winter. > Nail growth is affected by disease, nutrition, medications, trauma, chronic illness, fever, and the aging process. > Nails often reflect our general state of health. 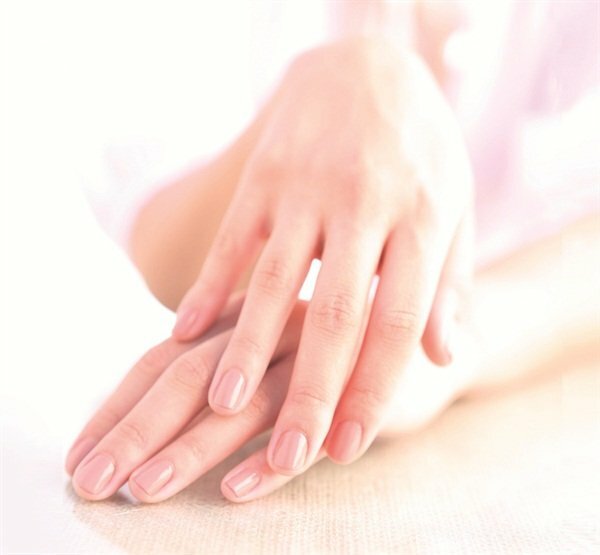 Changes in the nail, such as discoloration or thickening, can signal health problems, including liver and kidney diseases, heart and lung conditions, anemia, and diabetes. > Symptoms that could signal nail problems include changes in color, shape, and/or thickness, swelling of the skin around the nails, bleeding or discharge, and pain. > Nail problems usually increase throughout life and affect a high number of senior citizens. > Fungal infections cause about half of all nail disorders. They are more common in toenails because the toes often are confined to a warm, moist, weight-bearing environment. > Although rare, melanomas can grow under the nail. Melanomas may be mistaken for an injury, so clients should consult a dermatologist if a dark-colored streak appears within the nail plate, if the nail discoloration does not gradually improve, or if the size of the streak increases over time.